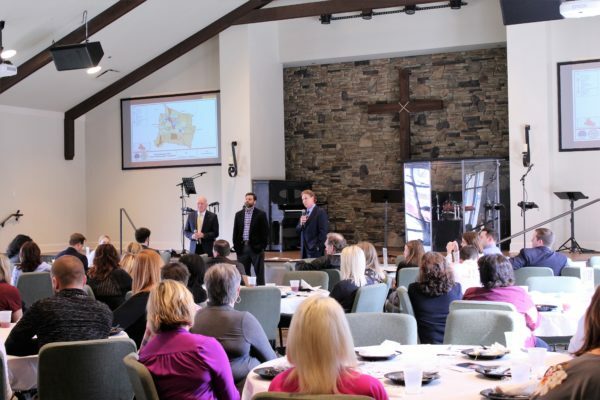 Nolensville Business Council | Williamson, Inc.
Willimson, Inc.’s first area business council was started in 2012 to serve the Nolensville community. Many Nolensville businesses and individual professionals are business partners with Williamson, Inc., which formed the council to address the specific needs of this thriving area on the county’s northeastern edge. A steering committee representing Nolensville business leaders helps plan four quarterly educational luncheons and other occasional events. To register for the latest upcoming Nolensville Business Luncheon, head to our Events Calendar here!